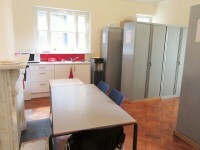 Services / facilities within the building include offices on all floors. 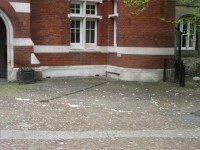 The Charterhouse Square campus is located on the edge of the City of London, just off Goswell Road / A1. Parking on campus is for staff and visitors, including Blue Badge holders. Permits are required. The campus can be accessed via bus 4 (Archway Station to Waterloo Station), 56 (Whipps Cross to St Pauls) and 153 (Finsbury Park to Liverpool Street Station). Bus routes 55 (Lea Bridge Road to Oxford Circus) and 243 (Wood Green to Waterloo Station) also pass very close by. Farringdon Station, on the Thameslink Line, is close to this campus. However, all of the London Terminal stations are within reach of the campus using public transport. The nearest tube stations are Barbican and Farringdon on the Hammersmith and City, Metropolitan and Circle lines. Please see the Thameslink website for details trains to Farringdon Station. The car park can be used by staff. 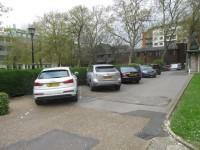 The car park is located around Charterhouse Square. 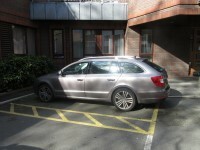 The dimensions of the designated parking bay(s) are 250cm x 500cm (8ft 2in x 16ft 5in). The nearest designated bay is 64m (69yd 2ft) from the main entrance. The nearest Blue Badge bay has faded and is shown in photograph 1. 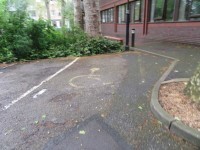 There is a clearly marked bay next to the entrance for the Wolfson Institute as shown in photograph 2. There is parking directly in front of the building shown in photograph 4. 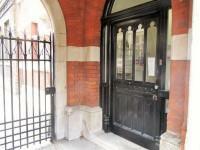 This information is for the entrance located off Charterhouse Square. The intercom is at a height of 146cm. 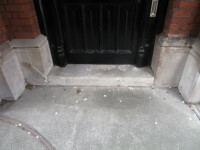 The step(s) is / are located at the base of the second entrance door. 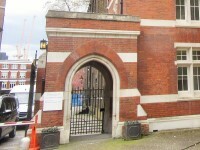 The information given for the first entrance door is for the archway shown in photograph 1. 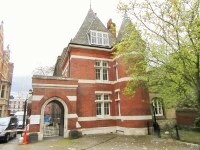 The second entrance door shown in photograph 2 does not fully open. If it did the entrance width would be 94cm. 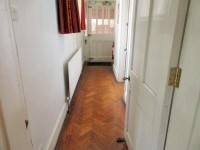 The doorway at the end of the entrance corridor is 75cm. There are manual, heavy, single doors to access the stairwell on the second floor. 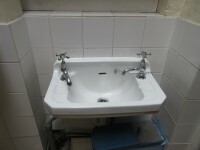 The area(s)/service(s) on the floors which are not accessible is/are the offices. 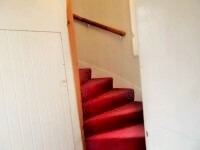 There is no handrail on the first four steps of the staircase. 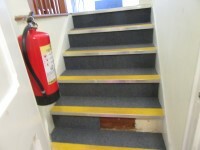 There are four steps leading from the staircase to level one. These steps do not have handrails. 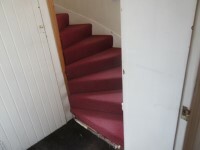 At the top of the stairs there is a landing and through the door there are eight additional steps with no handrails but are colour contrasted (as shown in photograph 3). 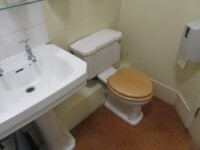 There are shared standard toilets facilities on the ground floor, the first floor and the second floor. The toilet surveyed is located to the rear of the venue. 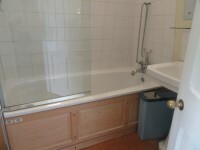 The standard toilet surveyed is approximately 10m from the main entrance. 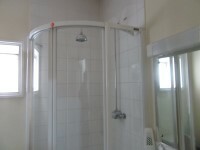 The toilet on the first floor contains a shower which is accessed via one deep step ( as shown in photographs 3 & 4). 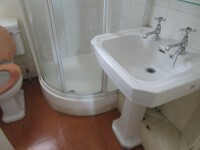 The toilet located on the second floor contains a bath (as is shown in photographs 5).